You can earn $100,000 a year as a desktop publisher if you know how and where to market your skills. Learn how to get clients, how much to charge, keep track of projects, promote, manage a business. Includes a CD with forms. 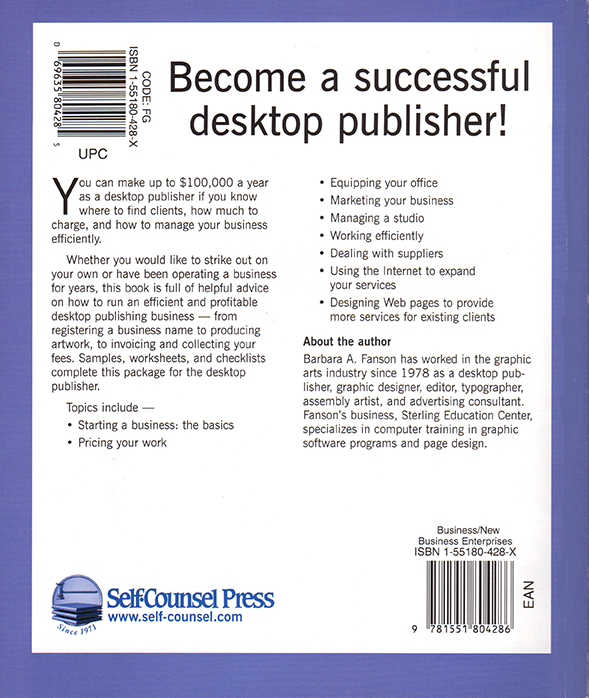 You can earn $100,000 a year as a desktop publisher if you know how and where to market your skills. Learn how to get clients, how much to charge, keep track of projects, promote, manage a business. 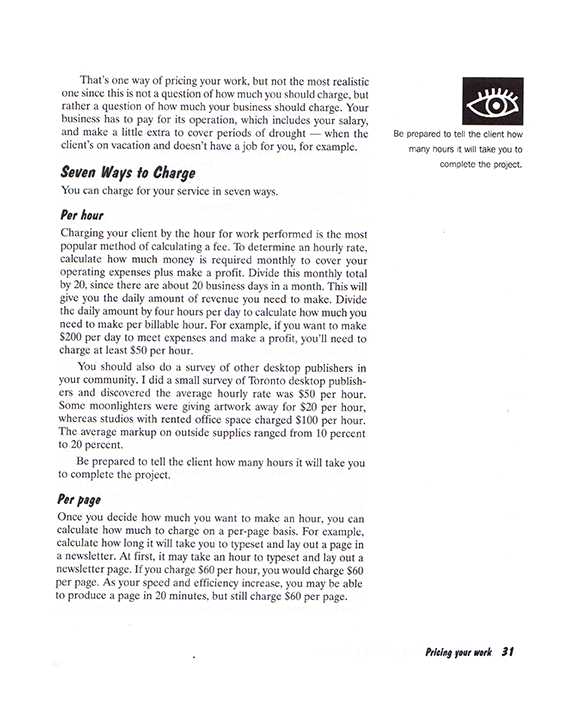 The second edition has a CD with forms. 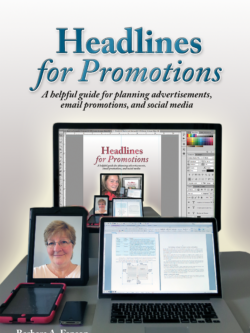 Publishers, designers, writers, marketers, photographers and editors will benefit from the advice packed into this book on developing a niche market, getting and servicing clients, billing practices, controlling work flow, maintaining project dockets and archiving projects. 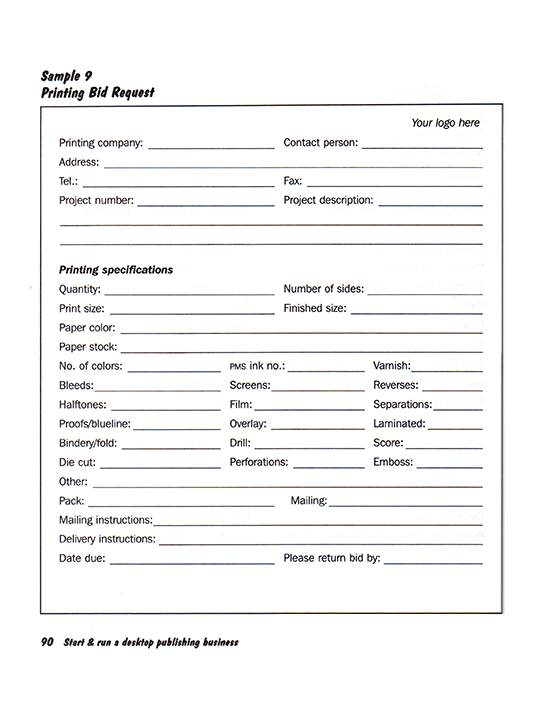 Sample invoices and business forms included. We have a few copies in stock. Written by Barbara A. Fanson. Published by Self-Counsel Press. 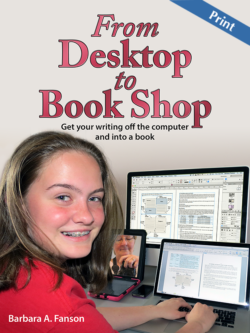 147 pages, includes CD with worksheets. 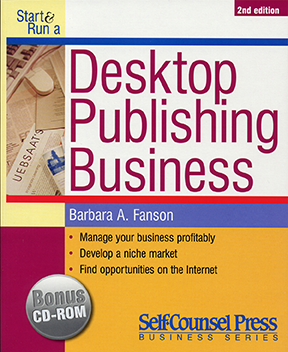 Be the first to review “Start and Run a Profitable Desktop Publishing Business” Click here to cancel reply.